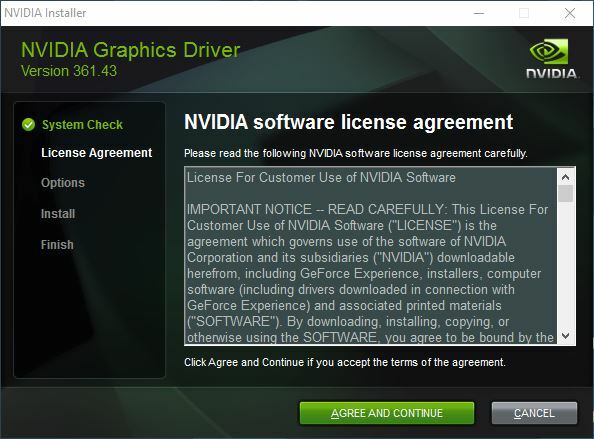 Now we will install the Nvidia Driver, so find where you downloaded the file and double click on the file to unpack it. To do a clean install we will be selection the “Custom (Advanced)” tick box and then going to the next page. Here is where you will decide on what you need to install. If you do not have a 3D screen or equipment and will not be using the feature untick those boxes. If you will not be using the videocard to output audio you will want to untick that box. Audio is usually only needed if you have a home theater PC setup. 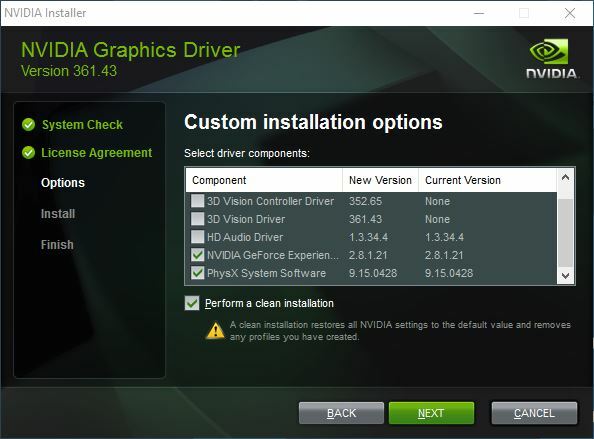 You will want to leave the Nvidia Driver and Physx selected, and if you want a program to help tweak the eye candy settings of your games then leave GeForce Experience and give it a try. Click next to start the install, and if it is a beta driver you will need to click yes to wanting to install it during the process. 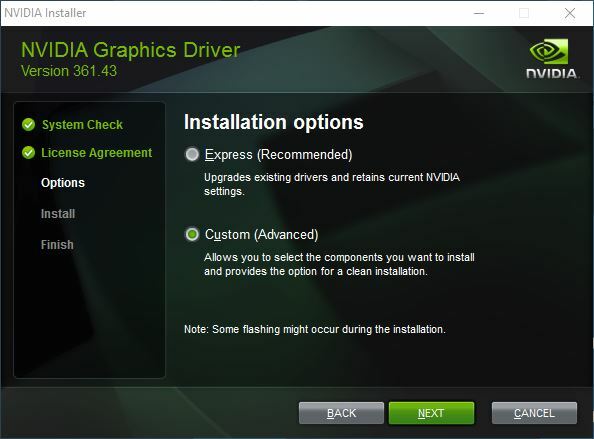 Now you are all done and ready to play your games with the latest Nvidia driver. Depending on the driver enhancements you may see quite a bit of performance enhancement just from updating the driver. This is doubly so for those with SLI setups as new profiles are always being added and can really create a huge boost. Good luck and have fun, and if there is any questions that you have either leave a message or get ahold of me via whatever means you like.